All lil Fluff wants to do is kiss you! 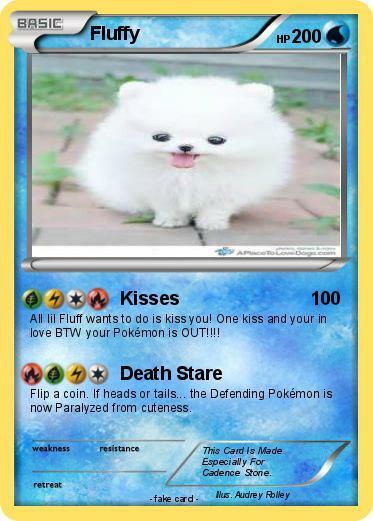 One kiss and your in love BTW your Pokémon is OUT!!!! Flip a coin. If heads or tails... the Defending Pokémon is now Paralyzed from cuteness. Comments : This Card Is Made Especially For Cadence Stone.